Car shipping companies are businesses that move vehicles from one place to another so you don't have to worry about driving your vehicle over the distance of your move. Cars, trucks, and SUVs are all hauled on auto transport trailers, which are either open to the environment, or enclosed for added protection for classic cars or luxury cars. The latter variety of shipping trucks are, generally, more expensive. For some people, using a car shipping company is something that they do on a regular basis; for example, owners of show vehicles regularly travel around country to display their cars, and people with vacation homes also need their vehicles shipped. In fact, the reasons to ship a car are becoming more and more apparent, with people being short on time and the rising cost of gas, which means that driving over long or even shorter distances is becoming less desirable. Auto transport is also growing in popularity due to the internet. The internet has brought down many of the traditional geographic restraints that people dealt with when buying and selling cars, and, thus, people will purchase a vehicle far from where they live or work and use car shipping companies to move the vehicle back to their location. The great thing about this service not having to leave home, which saves time - the primary reason people hire auto shippers. However, be aware of the quirks involved in the auto transport industry. Always read your contract, and know that most auto transport contracts do not guarantee a delivery or pick-up date. Cancellation fees are common, and can be as much as $250. If a lengthy period of time passes before your vehicle is picked up, or a transporter simply cannot be found, your deposit should be refunded. All auto transporters are required to carry insurance, but inquire about the amount of auto transport insurance carried before placing an order. The cost to ship a car is, quite often, much lower than can be expected. Transporters save you money by hauling multiple vehicles at a time, which lowers individual rates. 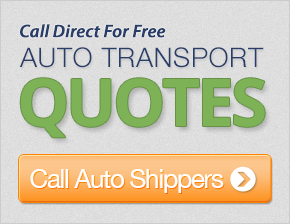 To save further, contact auto shipping brokers to find the best deals on auto transport services. Brokers are also familiar with people working in the industry, and can help you steer clear of less scrupulous transporters. They can also help you choose between door-to-door and terminal-to-terminal shipping, depending on your needs. Finally, a good broker will warn you that cheap quotes do not often result in quick service. Regardless, when it does come time to pay, note that most auto shippers require a deposit ranging of 10-20% once the order is placed. In rare cases, you may be asked for advanced payment in full. When only a deposit is required, payment in full is always due upon delivery. You should also be aware that the most requested form of payment is cash, or a cashier's check. If paying by credit card, the individual transporter may charge an additional 2-3% to cover the cost of processing your car shipping payment with the credit card company. Always take the time to inspect your car before it's picked up and during delivery. Document any damages that may have occurred during the transport. Use your vehicle inspection report along with photos of your vehicle prior to shipping to validate its condition. In addition to the obvious, you should inspect the bumpers (front and back), the roof and the undercarriage. Never accept delivery if it's too dark to inspect your vehicle. The driver will give his assessment of the overall condition of your car at the time of delivery, and note it on the "bill of lading," which requires both your and the drivers' signatures as an acknowledgment and acceptance of the condition of your vehicle. If damages have occurred on transit, but are not noted on the "bill of lading," you will have limited recourse with your auto transporter. You can hire a car shipping service within a local or regional area. If you have more than one vehicle to transport, or if you are planning to rent a moving truck, a professional auto shipper can move your car on your behalf, which can take much of the stress out of relocation. Moving trucks aren't as well equipped to haul vehicles and may not have sufficient insurance to cover an accident. Instead, stick with the professionals, who stop at certain checkpoints to ensure that your vehicle is still safely anchored to the truck and that no damage has occurred. Usually, your vehicle will complete its transportation on the same auto transport truck for the whole journey, ensuring that it is safe and not subjected to frequent loading and unloading procedures, which has the most potential of damaging your car. Car shippers may also offer online tracking, informing you of the last location the driver stopped at. So, next time that you need to move a vehicle, you certainly should start by contacting car shipping firms and discussing what they can do for you. Know that this is a generally safe method of transportation, as supported by a study done in 2008 by the US Department of Transportation. The study noted that less than one half of one percent of all traffic accidents involving a commercial vehicle had an auto transportation vehicle involved, a stellar record when compared to the 1.5 million traffic accidents including commercial vehicles every year in the United States. Also, don't forget that auto transporters can frequently assist you in moving your other larger household items, such as furniture and appliances. While they can't legally carry these items inside vehicles being shipped, some have moving trucks specifically for this purpose.